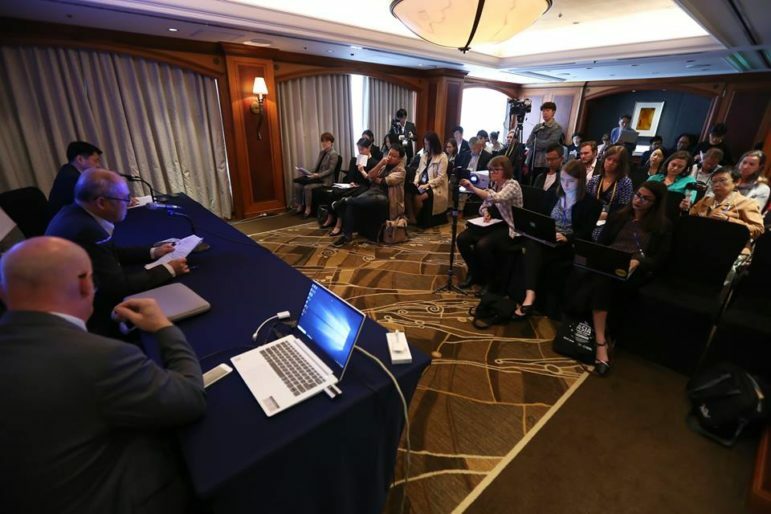 The largest ever gathering of investigative journalists in Asia took place in Seoul, Korea in October 2018 and now many of the tip sheets and presentations are available online. In this four-part series, IJEC provides an overview of the presentations and tip sheets available online from the conference, which was attended by 440 journalists from 48 countries. From making public information requests in Indonesia to the craft of web scraping, Uncovering Asia 2018 had many sessions on how to strengthen reporting by more and better use of data and documents. This second part of this series gives an overview of public information requests, leak platforms, finding documents and doing data analysis. The presentation What is data journalism? by Jennifer LaFleur of the Investigative Reporting Workshop was a great starting point to the conference data sessions and outlined the current state of data journalism and the digital tools journalists are using. In How to learn data journalism, Khalid Khattak also discussed the state of data journalism and how aspiring data reporters can learn the techniques to get a good start. Presenting on freedom of information requests in Japan, Sataoshi Kusakabe of the Mainichi Shimbun newspaper discussed what kind of documents reporters should ask for and gave his view on what to do when information is not public. In 2004, Kusakabe exposed how the governor of Tokyo misused taxpayer funds. Kusakabe based most of his reporting on public records obtained by FOI requests. When Japan initiated a state secrecy law in 2013, Kusakabe used FOI requests to figure out how the law was made. He made a very general request asking for all documents related to the legislation. After a year-long wait, the reporter was surprised when he received 40,000 files. In Getting Stories Through FOI/ RTI Laws, Shyamlal Yadav gave pointers on how a journalist in India can obtain public information in India. Ask for information, don’t ask questions. Know the exemptions before you ask for information. Ask particular information that does not allow them to “smell” your story idea. Meet the FOI officers since many of them will help you or sometimes they give more ideas. Keep patient: it takes time and sometimes there is no story. While filing RTI for short term stories, keep eyes on biggies as well. For big stories, you need lot of other efforts to process it and put in in right perspective after receiving information under FOI. It is safe to file for the same information from many departments. Often one department denies but another one provides same information. To get stories of shelf value, try off-beat issues as well, where other reporters have no focus but in fact there are good stories. Sometimes officials don’t want to share information with journalist so it is good to apply in your name but don’t mention that you are a journalist. Muhammad Kholikul Alim of the Indonesia Network for Investigative Journalism discussed FOI requests in Indonesia and the platform behind the Indonesia Leaks in his presentation From FOI to Leak Platform: IndonesiaLeaks. Alim highlighted the increase in transnational collaboration among journalists reporting on big data leaks and stressed the importance of legal assessments to minimize the risk of being sued. During the session “Finding Data: from Asia & the World,” Pinar Dag from the Kadir Has University in Turkey showed different models of data openness and quality. Open data is “data that anyone can access, use, reuse/or share,” Dag said, noting it played an important role in societies. According to her presentation, open data provides transparency, strengthens democracy, creates jobs, saves lives and makes governments work. Besides definitions, barometers and indexes, Dag’s presentation also includes open data resources from Belgium to Canada. Dag was joined by Giannina Segnini, director of the Data Journalism Degree Program at the Journalism School at New York’s Columbia University, who showed attendees how to access the deep web using Google search. The deep web are those webpages and online resources that will not come up as results by doing a simple search. In Money, Politics & Data, Yoi Tateiwa and Yuta Suzuki showcased how Japan’s Center for Money and Politics preserved and uploaded government data to circumvent problems with its open data framework. In Open Data Standards for PEPs, Beneficial Ownership and Contracts, Khairil Yusof of the Sinar Project — a civic tech initiative he said is hacking its way to more transparency — discussed how the Malaysian government does not have FOI and open data. With the Sinar Project, Yusof has combined research and data from different organizations of politicians, organizations and committees into a database to provide the citizens and reporters of Malaysia with open data. Pinar Dag of Turkey and Kuek Ser Kuang Keng of South Korea explained how to scrape websites, even for a reporter with no coding experience. Using Google Sheets and a simple command, reporters can create a spreadsheet that will automatically update information gathered from a website, explained Kuang Keng in Web scraping for non coders. Dag uploaded a folder with four different tutorials on how to scrape data, from getting tables from PDFs to using the browser plug-in Data Miner that can be found at Everything about web scraping. Jolly Shen of the Rising Lab and the Yicai Media Group, presented on understanding Chinese cities by using data, stressing the need to go beyond government information, in Re-evaluating China’s Cities. Data journalism is growing in China, which has one of the biggest content markets in the world, said Tori Zheng Cui of Data-Viz.cn as she presented many examples of data stories. Her presentation is called Trending Data Journalism in China. Once data is collected, it needs to be organized. Brant Houston, who is a journalism professor at the University of Illinois and oversees IJEC, talked about which factors are key in deciding what kind of database to build. Besides using it as a source for stories, data can also be presented more directly to readers. One way to do this is by making visualizations. The steps are explained in full in Lim’s presentation Visualizing Data. In Mapping for Stories, Andrew Lehren explains how journalists can use ArcGis to map data and create compelling visual representations of their reporting.